Solid hardshell case for "000" style guitars. Great product, great service-what's not to love! I recently purchased this case to protect my new Martin 000CXEBLACK. I too was looking for a no-name case to save money but after reading the reviews especially the one from Alaska regarding the airplane mishap I decided that my little black beauty was worth the investment. Custom Guitars Friend was once again a pleasure to deal with and I also received my case faster than promised with FREE SHIPPING and NO TAX it was a no-brainer. This case is sturdy and I feel very confident that it will keep my new baby safe. The ABS plastic should also hold up much better over time than the usual tolex covered hard cases. The MARTIN brand molded into the case really shows off your investment. Worth the few extra dollars. The fit is perfect, it proudly screams MARTIN INSIDE! and it is a sturdy long-road worthy case that should last as long as your guitar! The lockable case has the ususal storage compartment for capos, string and some picks but since this is a thinner case the box is more shallow than the usual acoustic case as expected. 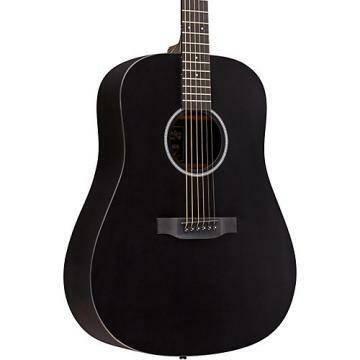 .After doing weeks of research I finally broke down & bought this Martin Case for my Martin 000X1 Acoustic Guitar. 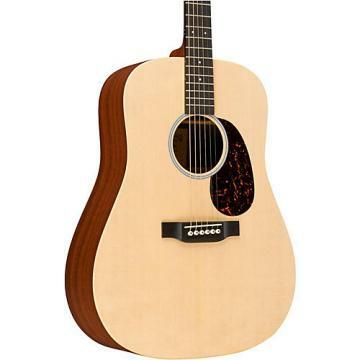 Like many other musicians out there I'm on a tight budget & was hoping to find just a universal case that my Martin acoustic would fit in because the price of this actual Martin case is pretty high. I have to say that I'm really happy with my decision. It fits in there PERFECT like glove! Nice tight fit. I think overall you won't be disappointed. 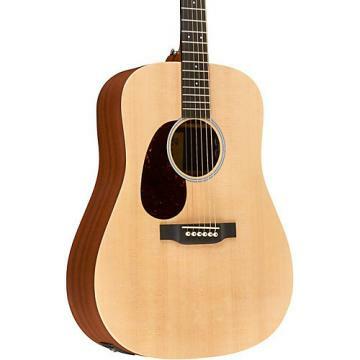 Your Martin is worth it! .Overall this is strong well fitting case. It will protect you instrument perfectly. It fits my instrument perfectly with no sliding or sliping. I do wish they had made more room to carry a strap. .It's a solid case. Guitar fits well. It was a gift for a musician who is pleased width the overall quality. 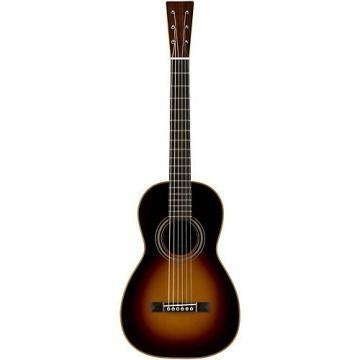 .I got a '000' model Martin a little over a year ago. For the past year I have been carrying it around in a soft gig bag and I've always been nervous about bumping it against stuff so I finally decided to get a hard case for it. I went back and forth about getting a Martin case or getting an off brand case, after reading the other reviews about how well the guitar fits in this case I decided to go with the Martin case. I couldn't be happier, the guitar literally fits like a glove inside this case and the case itself is very sturdy. Also, I am glad I went with Custom Guitars Friend to purchase it, no sales tax and free shipping, what a deal...and it was at my door in less than a week after ordering it and that's even with a holiday weekend!!! This is a great guitar case for your '000' model Martin. .This case snugly holds your investment into place without any worry of it budging. 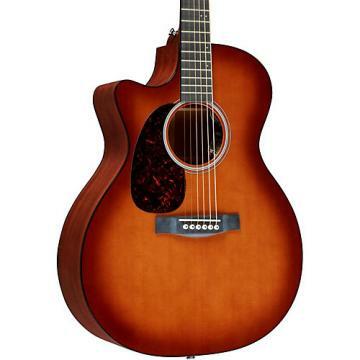 It is designed to rest the neck of the guitar in a fashion that prevents warping over time. The interior is beautiful, and the lock and key function is handy to keep pesky kids out. Great buy, Martin quality. A beautiful, sturdy, well made case! It is always a good value to purchase a case that is well made and will last a very long time, while being perfectly fitted to my Martin guitar. .I needed a case for a 000 I am building. A Martin case for the clone seemed to be in order. This case was on a close out, listed as a Level 2 Blemish (scratched??). I think it was a very good deal as I have yet to discover what and where the blemish is located. A worthy Martin case for a Very worthy 000 clone. .This case was exactly what I wanted - sturdy, functional and good protection. My only criticism is that it's heavy. Someone could make a lot of money if they made a lighter Bam-style fiberglass case.